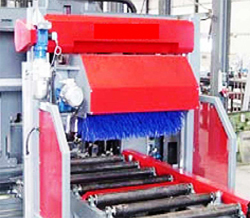 Since many years Brush India Design and Manufactured Brush Roller for Shot Blasting Machine and supplied with success into Many Shot Blasting Machine .With the brush and blow off unit being connected with the shot blaster allows the unit to remove the shot immediately after blasting. The brush process is an economical and technique in cleaning the shots the Brush Roller is mostly used on-line. The surface quality is especially important For Steel. Therefore the Brush roller is used for Effective Cleaning of Shots and Create a Cleaner Surface. 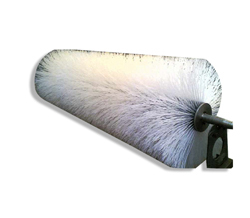 The Brush is manufactured as per Customer drawings and Specification due to various OEM Machine Specification; The Brush Roller for the Shot Blasting Machine is manufactured by using high Quality Nylon Mono Filaments. For High Heat and Wear Resistance.